The first challenge will be to find experts who can help us understand Agile better. If we are lucky enough, we’ll have some level of agile experience within our organisation. However, if that’s not the case, it would be really difficult to find an expert. As the team size increases, Agile is compromised at different levels. Different propositions such as direct communication and generic understanding require extra effort to maintain their efficiency as a team expands. Bigger teams require additional investment to make certain that the learning is shared constantly across all groups. Scrum teams often use the term scrum of scrums, which means a spokesperson from each Scrum team attends a master Scrum meeting to share their ideas with the other teams. A small team always have a better communication. As the teams become larger than 15, it becomes more of a formal communication which slows the team. It’s very difficult to implement a new process when an organisation already has set and established procedure. If the organizational policies don’t make sense for agile implementation, the organizations won’t be interested in implementing it within their company. It also happens at times that when few of the team members from the team are pulled out for a different assignment and it becomes difficult for the rest of the team members to work on the project they were working before. Also, the team members can’t focus properly if their projects are changed frequently. External departments are not quite familiar with the agile techniques and its implementation. So, the scrum team members need to provide proper training so as to make them familiar with agile. The scrum team needs a range of simulation software so that it can test the user interface and code. The need additional hardware or software to implement agile. This acts as a roadblock if the additional hardware or software is not available or if the organization doesn’t allow usage of additional hardware or software. If our team will work together for only one project, they’re usually provided a plan-driven approach except for if they have previous experience in agile. 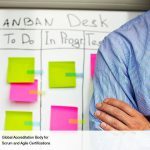 So, if the teams have to work through multiple projects or releases, they need to be trained properly on agile techniques as and when it’s required. Otherwise it will be really difficult for them to migrate to a full agile methodology. If these roadblocks can be overcome, agile implementation will be really helpful for any organization and will provide many benefits like increase in value, perceptibility, and flexibility. How to create a good User Story? 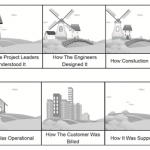 Can organizations with big project teams adopt scrum? What is Empirical Process Control? Hi, I wish to say that this post is amazing, well written and include approximately all vital infos. I’d like to peer more posts like this.